Traditional saying: “It’s that time of the year again” is usually associated with Christmas time, but in the month of February, it only means one thing: SUPERBOWL! My guess would be that a large number of people are looking forward to Superbowl Sunday. Some are just plain excited about watching awesome football, others are thinking “Finally it’s over and we can have our weekends back”. Whatever the reason, Superbowl parties are one of the top at-home party events of the year. They are much more than a gathering of football lovers – many people attending don’t actually even like football, they attend to get together with friends and break up the monotony of the very boring winter month. 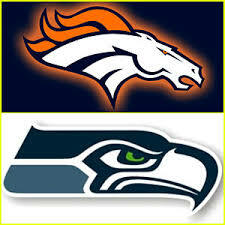 This year it’s the Seattle Seahawks and Denver Broncos match up. Personally, I am thinking that Denver has the guys – especially the great Manning that will take it this year. From what I understand right now, they are the underdogs so that is partially why I would pick them – go figure. Plan simple, easy foods and set it up as a buffet. That is your only option, since there is no way anyone will want to be sitting at a table. If you have more than one television set, set the sets up around the party area. Plan on plenty of beverages – definitely do not forget the beer! If you just absolutely have to decorate – use team colours, footballs, team jerseys, goal posts and pennants. But I wouldn’t worry about it too much – the attention will be on the television set. You may want to have a good supply of paper towels, napkins and also a rug cleaner – things have a tendency to fly! And keep a little spare change and small bills handy for betting pools that just might be popping up over the course of the party! The name of the game is simple – meaning organizing casual, hearty food. This time you can leave your gourmet expertise alone. Your guests will want to eat in front of the television set – so you pretty much have to keep the menu simple. There are traditional foods you just have to serve at your Super Bowl party – they include chili, chicken wings, some great dips and nachos. I am including all the recipes for these – all easy and quick to put together. I have also included something sweet – if you are up to it – a real football cake! Combine all ingredients in a slow cooker; cover and cook for 7 to 8 hours on LOW, or until done. Sprinkle a little cornmeal in the hot pan before adding the batter. It will brown and add a crisper texture. For a crusty cornbread, make sure there is a good “layer” of oil or shortening in the pan. A tablespoon of mayonnaise can be substituted for the egg. You can use all cornmeal, or lessen the amount of flour in the recipe. Use muffin or cornstick pans (preferably iron), to vary the shape. Instead of baking, fry the batter like pancakes. Add beaten egg and buttermilk, mixing well. Super Bowl party would not be complete without chicken wings. Chop off the tip of each chicken wings, and discard it. Chop the wing in half (cutting at the joint) to make 2 pieces. Grind on fresh black pepper and sprinkle with salt if desired. Heat the oil over high heat in a deep skillet, Dutch oven, or deep-fat fryer until it starts to pop and sizzle (around 400 degrees F). Add half the chicken wings and cook until they’re golden and crisp, stirring or shaking occasionally. When done, remove them to drain on paper towels and cook the remaining wings. Melt the butter or margarine over medium heat in a heavy saucepan, add the hot sauce and the 1 tablespoon of wine vinegar. Stir well and remove from the flame immediately. Place the chicken on a warm serving platter, pour the sauce on top, and serve. In a food processor or heavy-duty blender, combine buttermilk, sour cream, garlic, sugar, paprika and salt. Add blue cheese, and pulse quickly once or twice. Do not blend. You want small chunks of blue cheese. Refrigerate 4 hours or more before serving to let flavours blend. Great treat for everyone – add tortilla chips of any other chips you like and listen to everyone loving this dish! 1 (9 ounce) can bean dip, 3 avocados, minced. Sprinkle with lemon juice and garlic salt. Mix 3 tablespoons sour cream, 3 tablespoons mayonnaise, 1 package taco seasoning mix. Combine cream cheese and cream in slow cooker. Cover and cook on LOW until cheese is melted, about 1 to 1- 1/2 hours. Add remaining ingredients; cover and cook on LOW for about 45 minutes longer. Serve with raw vegetables, crackers, or crusty bread cubes. Cook ground beef in a large saucepan or Dutch oven. Add all ingredients but the cheddar cheese and chips to the pot and simmer for 10 to 12 minutes. While it is simmering, pour the chips into a casserole dish. Spread hot mixture over the chips; sprinkle grated cheddar cheese on top and put in the oven for 20 minutes or until cheese is melted and browned. Yes you can! You can make this incredible cake and surprise everyone! Sweets are not usually an important element of a Superbowl party menu, but make this one and it will be a hit! This creation will definitely score for you! You will need to make a sheet cake – 13″ x 9″ size is recommended. 1 – 13″ x 9″ sheet cake that has been frosted chocolate (my preference) or vanilla. Place 12″ square piece of wax or parchment paper on cookie sheet. Place chocolate chips into microwave safe bowl. Melt at 50% power for 1 minute. Stir. Continue heating at 50% power for 30 seconds each time until smooth consistency is reached. Dip pretzels into melted chocolate, tapping off excess. Place on prepared paper and form into goal post shapes. Once goal posts have been made, transfer cookie sheet into refrigerator to chill. Evenly spread coconut over top of cake, reserving 1/2 cup for touch-ups as needed. Draw lines with decorator frosting on field to create yardage markings and end zone. Insert pretzel field goals into end zones. Hope these tips and recipes will help you have a great Super Bowl party – enjoy and share your tips and experiences – your input is always welcomed! WOw, these are great foods. I think I gonna add them on dinner list recipes. It is great that I found your blog. I learned a lot from it.